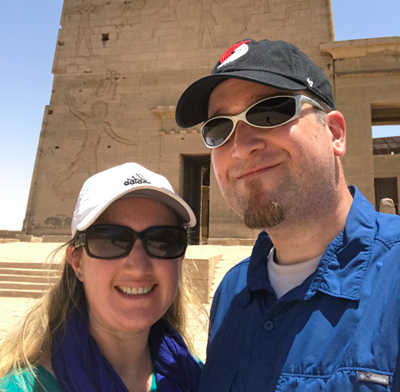 When we planned our trip to Egypt we expected the pyramids, the Sphinx, the massive stonework of Karnak, and the tombs in the Valley of the Kings would be the highlight of our trip, but somehow it was Philae that rose above the rest as our favorite destination. If you haven’t heard of Philae you aren’t alone; Philae went overlooked on our itinerary as we focused on Egypt, our time in Jerusalem, and our day trip to Petra. Like other temples, Philae features ancient ruins whose walls tell the story of the gods. In many ways, that’s where the similarities stop and Philae’s own personality shines through. 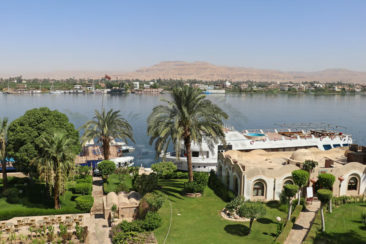 On the morning of our visit to Philae we awoke in Luxor, where our hotel overlooked the Nile. The night before we sat on our balcony and watched as the sun dipped below the horizon, casting incredible purple and pink and yellow hues across the horizon and sailboats silently glided against the backdrop. Our tour guide arrived to shuttle us to Philae before the sun reappeared, and we sat in sleepy silence during the three-and-a-half hours it took to drive on a largely unpaved, pothole-ridden road. We were both a bit confused when, instead of ancient columns rising up before us, we pulled up to a dock with no trace of a temple to be found. 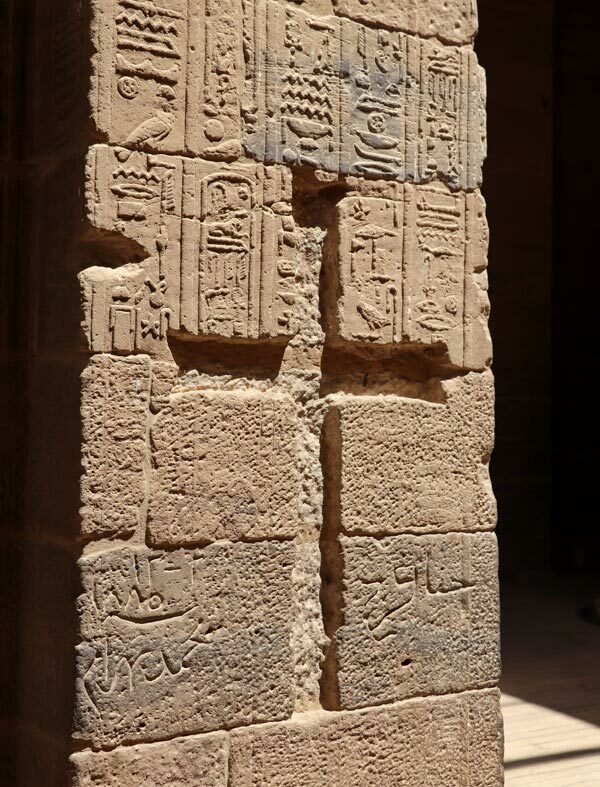 Thinking back, that is part of Philae’s charm: from history to experience, there are surprises at every turn. If you are planning an Egyptian vacation, here is what we loved about our visit to the temple of Philae. 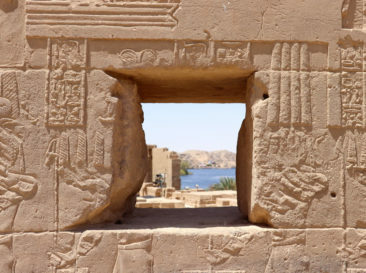 Philae is Egypt’s island temple, a large complex built between 380 and 362 BC. 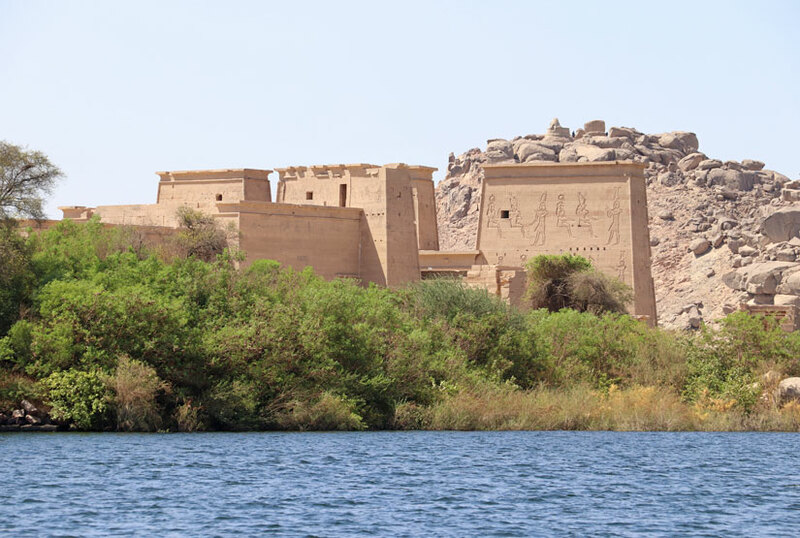 Located in the Nile River, close to the point where the river widens into Lake Nasser, the name Philae represents two different islands that shared a moniker despite the fact they were more than 60 miles apart. 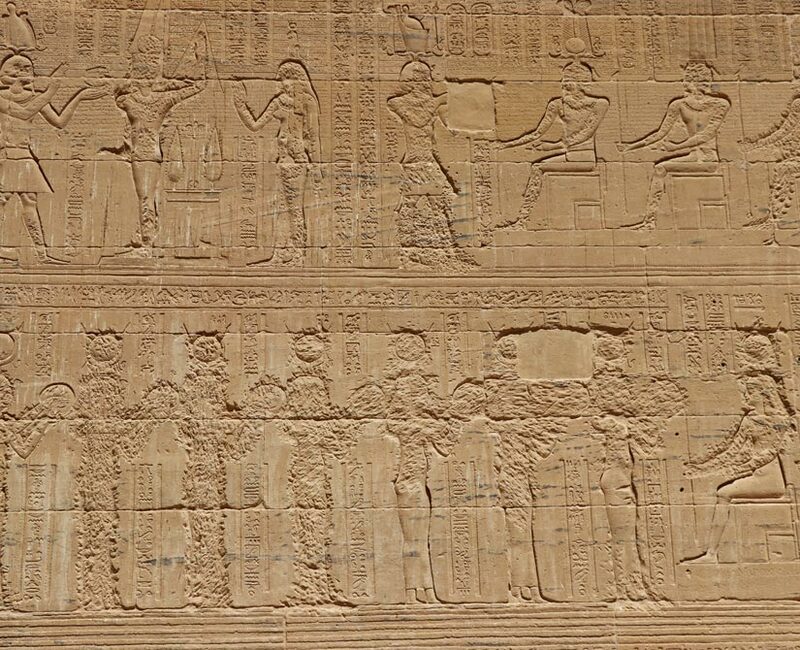 The smaller of the islands boasted the most impressive construction, specifically the temple built in honor of Isis. Pharaoh Nectanebo I began construction on the temple, although numerous additions made during the Ptolemaic Kingdom contributed to the temple’s size; it stretches over approximately one quarter of the island. 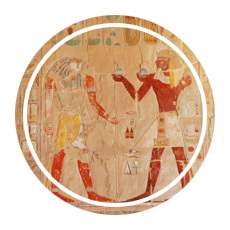 Philae’s significance is entwined in Egyptian mythology and specifically the story of Isis, Osirus, and Horus. Osirus was murdered by his brother, but he was resurrected by his wife, Isis. According to the myth, Osirus and Isis were able to conceive their son, Horus, while Isis was alive but after Osirus was dead. Osirus became the god of the afterlife and the underworld, and Isis was recognized as the goddess who helped people transition through death and into the afterlife—just as she helped her husband. Their son Horus became the Egyptian god of the sun, war, kings, and truth—establishing himself as one of the most important Egyptian gods. Although Egyptians believed Osirus was buried on the island (a symbolic tomb was discovered in 2015 in Luxor), Philae was one of the first major temples to be constructed and dedicated to Isis. 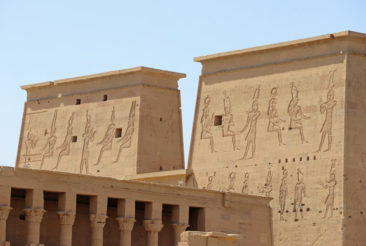 Philae has a long, rich history of tourism. 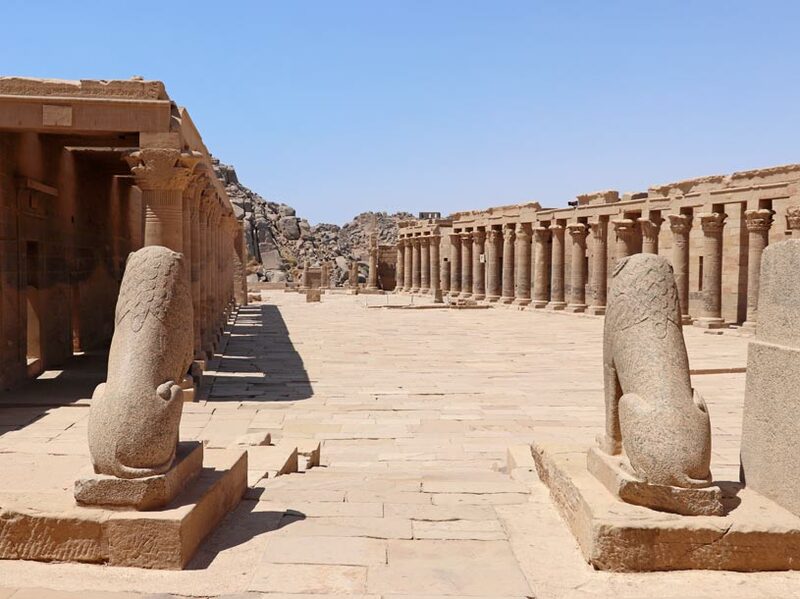 Egyptian pilgrims regularly visited the island to pay tribute to Isis, and after Philae fell to the Romans in 30 AD tourism expanded to include Greeks and Romans interested in the perceived healing powers of Isis. 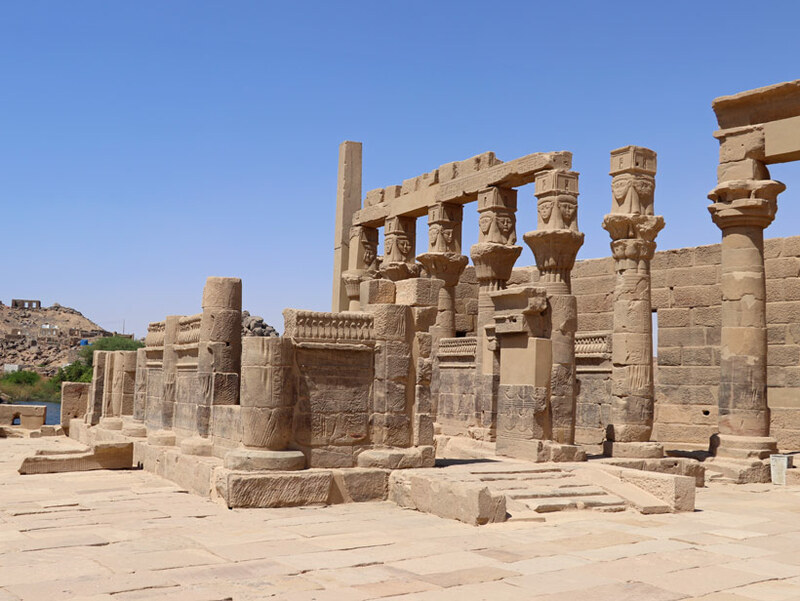 Although Christianity had a strong hold in northern Egypt, Philae survived and attracted visitors curious about Isis or eager to worship for several centuries more. 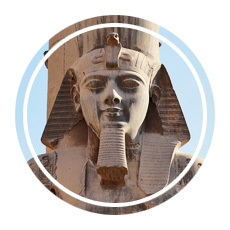 Many Egyptologists believe Philae was the last place in the country where the ancient religion was practiced. 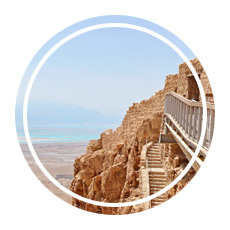 That era came to an end in the 6th century AD, when the temple was officially closed by Byzantine emperor Justinian I. From that point forward the temple was converted into a church, with Coptic Christian crosses carved into the walls to formalize the structure’s new role. 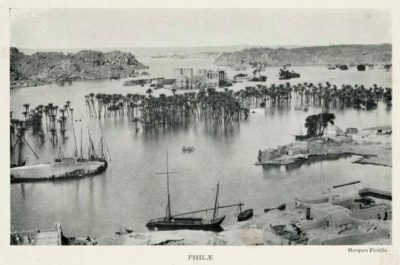 Philae’s history—and significance—endured a surprising and almost devastating blow when the Aswan Low Dam opened in 1902. 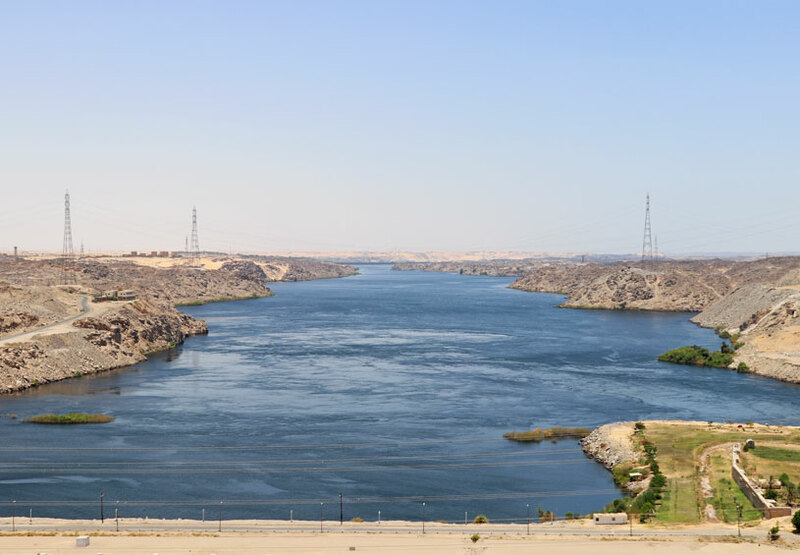 The dam’s construction was meant to provide irrigation during Egypt’s dry season, but one unintended consequence directly impacted Philae. When the dam was closed, Philae flooded. 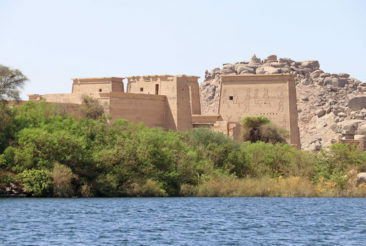 As the height of the dam was raised, the amount of water flowing through Philae increased. During most years Philae was dry only when the dam was open, which ceased tourism and ultimately threatened the ancient structures that populated the island. 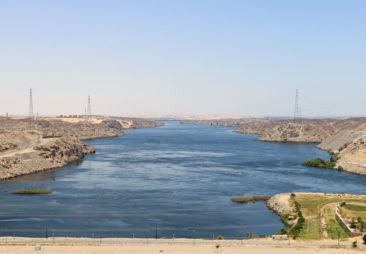 Construction on a second dam, the Aswan High Dam, began in 1960, a project that was deemed necessary to more fully regulate flooding on the Nile. 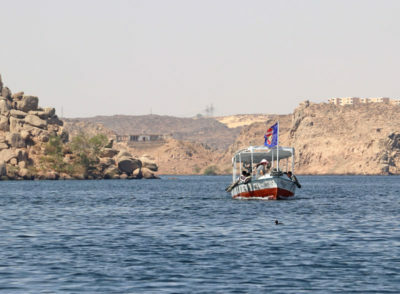 The new dam was also set to deliver one final blow to Philae; because of the island’s position between the Low Dam and the High Dam, Philae would suffer from permanent flooding. 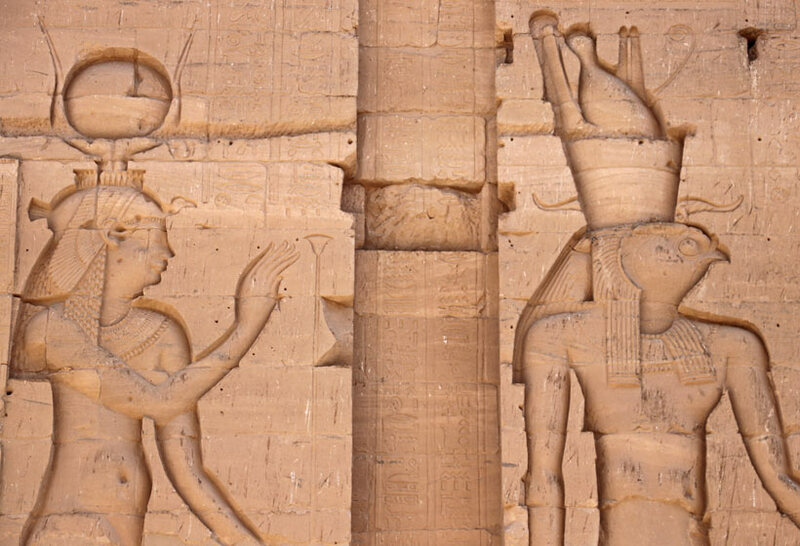 As construction was set to begin, UNESCO initiated what would ultimately be a life-saving plan to protect centuries of Egyptian history: they decided to relocate the temple. 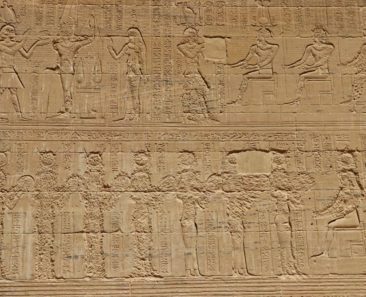 Using photogrammetry to precisely document each portion of the temple, UNESCO led an effort to dismantle the entire temple into no fewer than 40,000 sections. 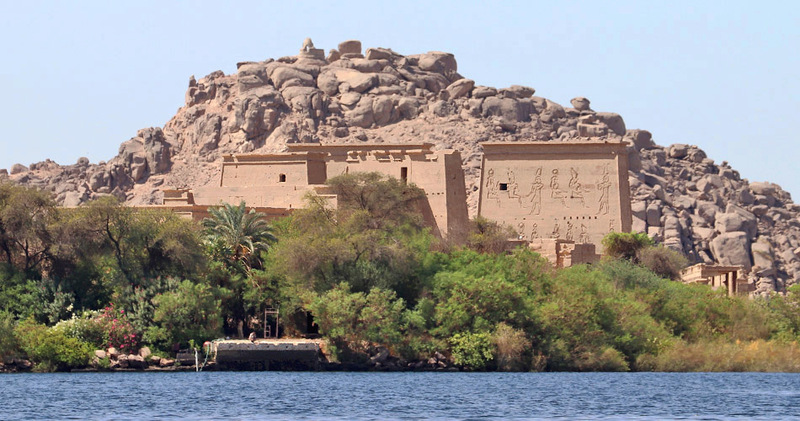 Those sections were measured, cleaned, and ultimately transferred from Philae to the nearby island of Agilkia. 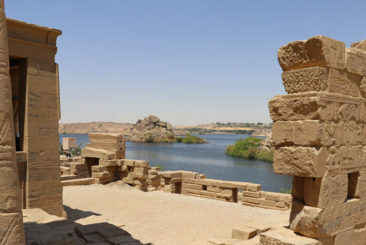 Agilkia’s location and better geographical attributes (it sits at a higher elevation than Philae) made it an excellent location to house the temple, and when the High Dam opened a decade later the temple of Philae stood safely above the water line. No detail was overlooked when the temple was relocated; workers used the same construction techniques to rebuild each structure, and standing before them today it would be otherwise impossible to know the temple had ever existed in another location. 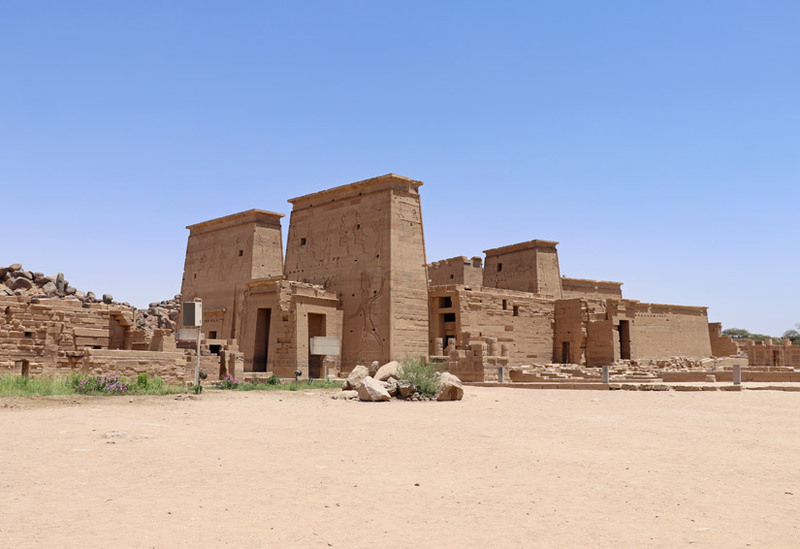 Consider it a modern miracle, or perhaps an ancient one: in an impressive parallel to the story of Isis and Osirus, the temple succumbed to its demise before being reborn again. Perhaps Isis is still working her magic after all. If you’re looking for more details on the history of the colossal Philae relocation project, this video from the AP archives shares some interesting footage and stories from those involved. 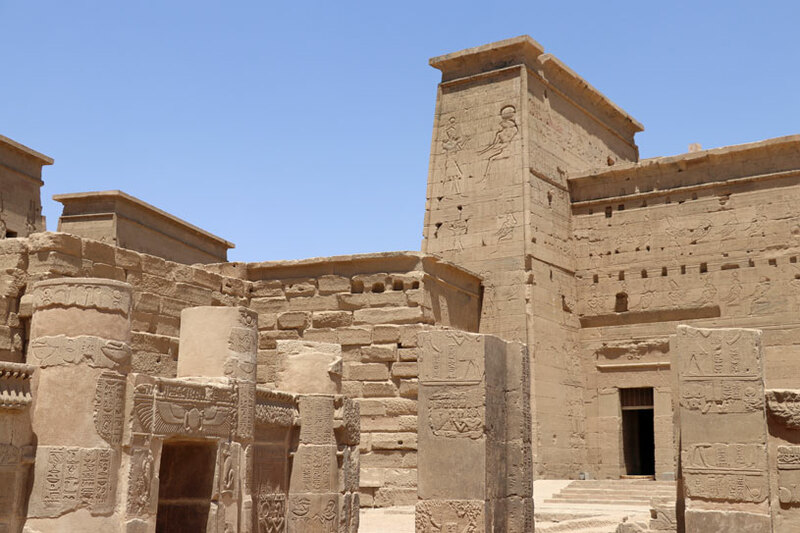 Although Ancient Egyptian temples and tombs are often covered in symbols, the Temple of Philae is one of the best places to see beautifully restored and preserved examples. 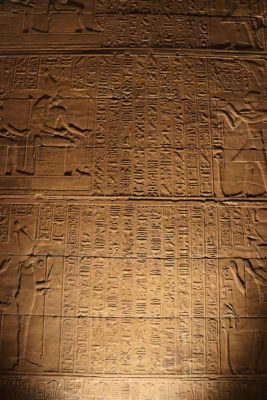 If you take a guided tour you will be treated to a number of stories that the hieroglyphics tell through their translation. 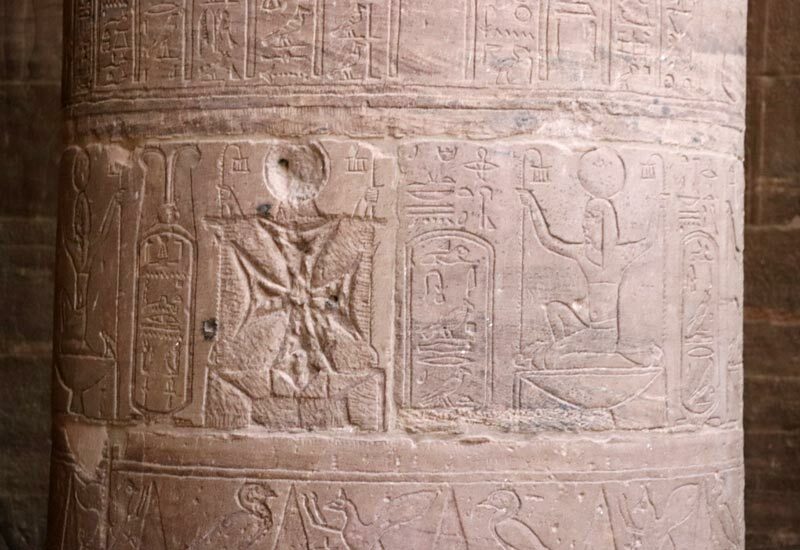 Even without understanding what they mean, the hieroglyphics bring the walls of the temple of life. The island’s most impressive structure is the Temple of Isis, which is by far the largest structure on the island. Flanked by a duo of courtyards, the temple is famous for the larger-than-life carvings of Isis, Horus, and Pharoah Ptolemy III on the 40-foot tall second pylon. Columns that depict numerous pharaohs and gods line portions of the temple once used as storerooms. 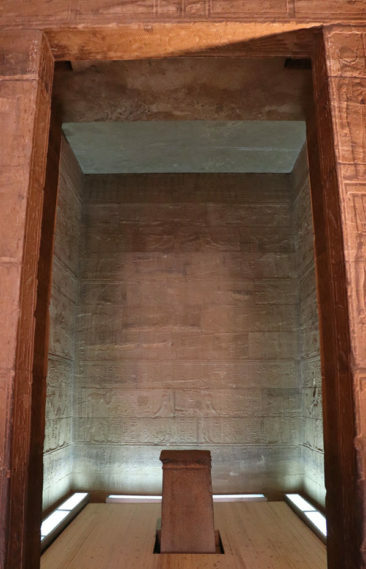 The temple’s inner sanctuary still boasts the pedestal where the bust of Isis would have been symbolically installed, removed only as part of ceremonial processions during festivals or celebrations. A walk through the Temple of Isis will consume most of your visit, and for good reason: many of Philae’s stories come to life by studying the hieroglyphics that adorn the walls. 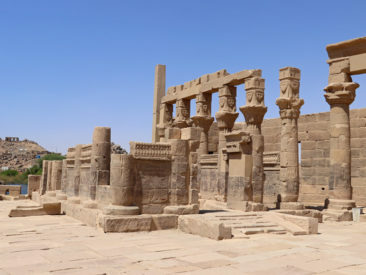 One of the last structures built to honor Isis at Philae was Trajan’s Kiosk. The tiny temple is frequently attributed to Roman emperor Trajan, although it may date to before his reign. The name fits regardless, as the temple boasts carvings depicting Trajan burning incense for and presenting wine to Isis. The temple does not have an interior or a roof, although it likely had a roof at one time. 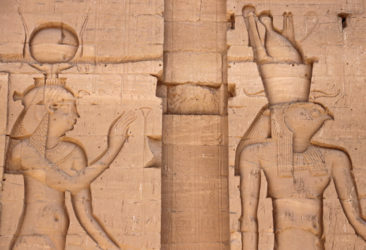 Nestled within—or sometimes on top of—the temple’s ancient carvings are a number of clearly Christian symbols. 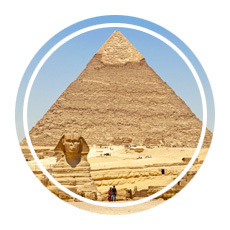 With some dating from Egypt’s fall to Rome, Coptic crosses can be spotted throughout the temple. Although the Christian symbology feels like vandalism—and much of it is—it is an important reminder that the temple served as a church after it closed in the 6th century AD, and Philae’s complicated history is well-represented with these additions to the temple’s walls. 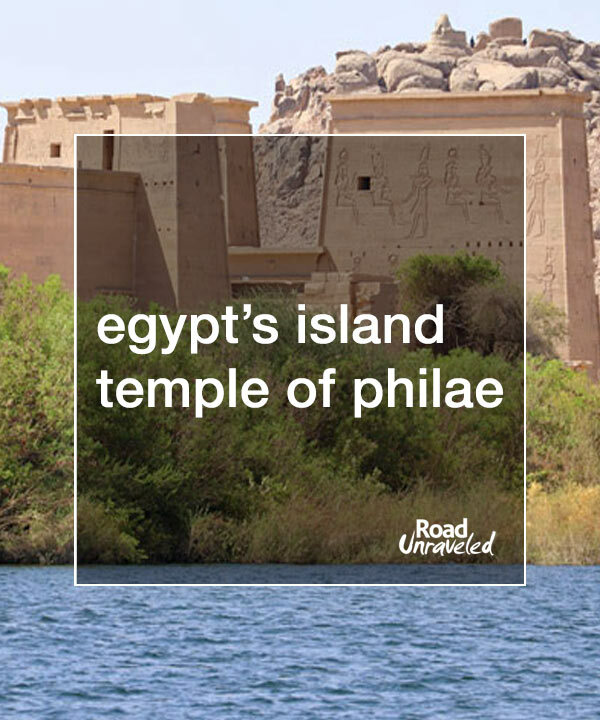 The Temple of Philae is located on an island, and the only way to visit—whether you are joined by a guide or not—is to take a boat operated by a local. The boat ride is quick, perhaps 15 minutes depending on the operator, and it offers some truly spectacular views. Pay attention to the island as you arrive, when the structures slowly appear as the boat curves toward the island. Be sure to confirm the price of the trip with the operator before you get on the boat, as some travelers have been surprised by the amount operators will charge for a ride. Additionally, even if your guide pays for your boat ride (as ours did), many operators except a small tip. Our guide told us to tip the operator as we were getting off the boat, which led to an awkward moment of fumbling around for a few small bills while our guide and the operator looked on. Have a few Egyptian pounds available before you reach the shore to avoid a similar situation. 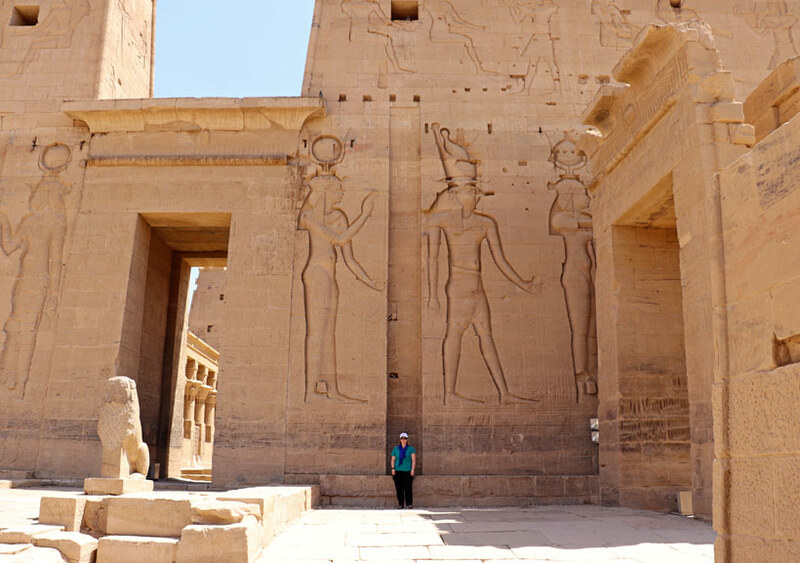 Philae is one of the most magnificent, detailed examples of Ancient Egyptian architecture and religion, and it’s the perfect place to adopt a slower pace so you don’t miss a thing. Linger in the Temple of Isis to see the hieroglyphics (and the occasional Coptic cross), and pay attention to the temple’s configuration as you remember that it was just a few decades ago that the same structures stood on an entirely different island. Spend a few moments inside the temple gazing out at Lake Nasser, too; the views are stunning, especially on a clear, dry day. 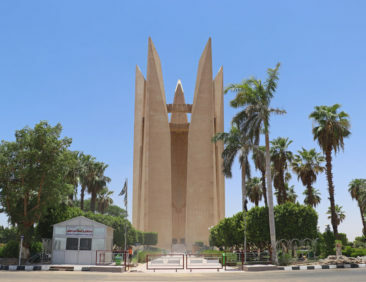 Egyptians are particularly proud of the Aswan High Dam, a modern dam built in collaboration with Russia. 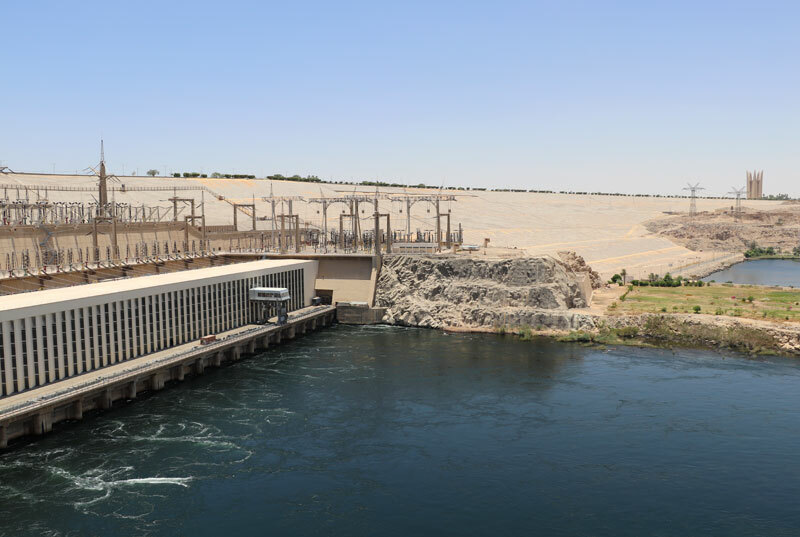 It is possible to visit the dam to see how it works, and our guide mentioned that when it opened it was one of his proudest moments as an Egyptian. Egypt has not always benefited from modern technology, and the dam represents something far more than a way to control the Nile to its citizens. A huge monument honoring the friendship between Egypt and Russia stands tall just beyond the dam. Standing there, looking at the engineering that changed so much for the country, reminded me a bit of how I felt when transiting the locks of the Panama Canal, and it’s a great side trip to make after a day at Philae. 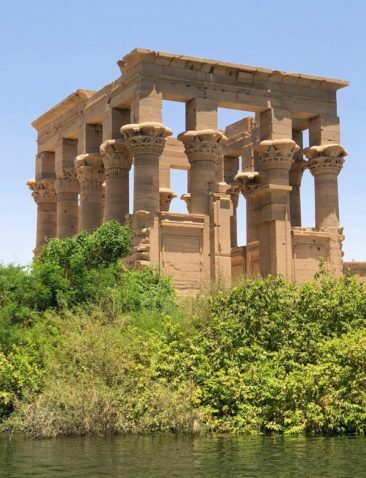 Much of Philae is best understood through the stories of why it was built and how it was relocated, and a local guide will be able to point out unique details that will deepen your appreciation. 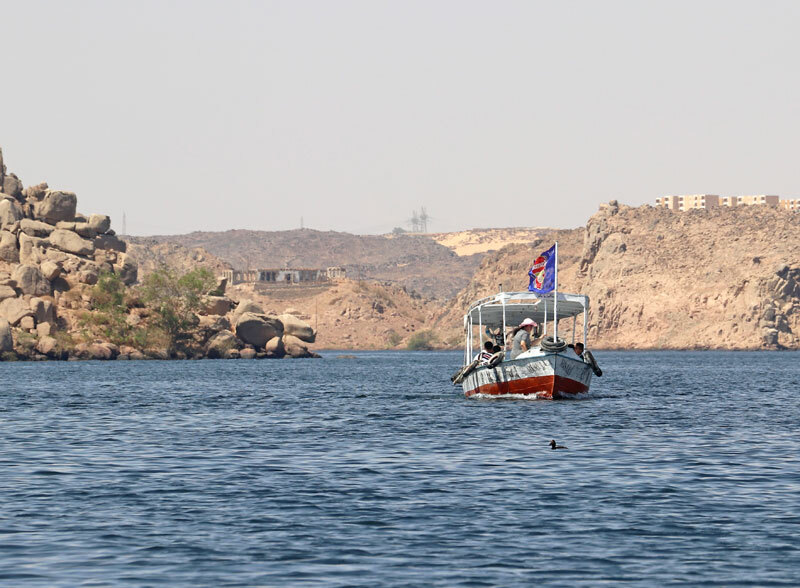 Our guide picked us up in Luxor and took us to Philae before dropping us off in Aswan, our departure point for Cairo and ultimately home, but you can certainly find a local guide in Aswan. Don’t wait to book a guide on the island, though; we saw very few local guides waiting for tourists, and it seemed most visitors prearranged tours for their visit. 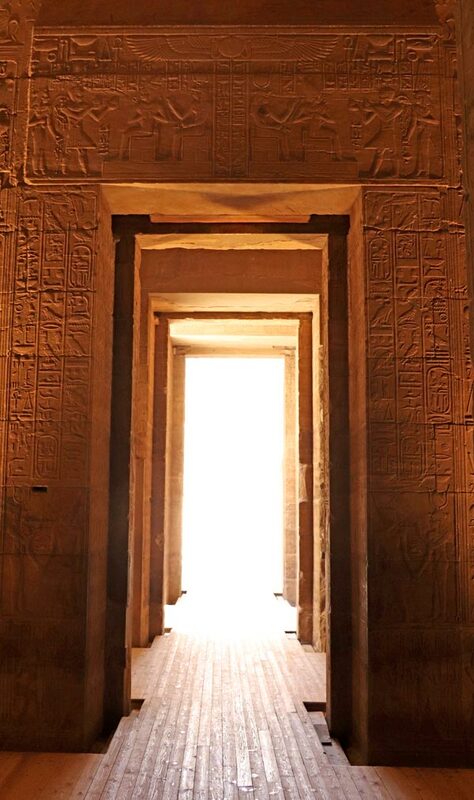 Are you planning a trip to see the temple of Philae in Egypt? Aswan is the closest city, and you’ll find plenty of options for places to stay. Here are a few deals to consider. Visit the Temple of Philae! Often overlooked due to its location, the Temple of Philae is one of the most impressive sites we visited in Egypt. If your travel plans allow you the extra time it takes to drive or fly to Aswan, the Temple of Philae represents an unforgettable combination of ancient history and modern technology. 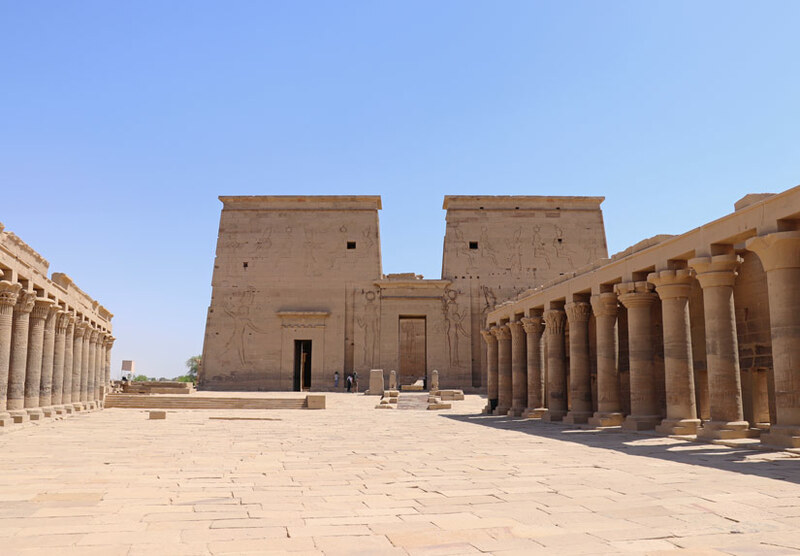 Leave a comment below and let us know if the island Temple of Philae is on your own bucket list—and share your tips for making the most of a day there! 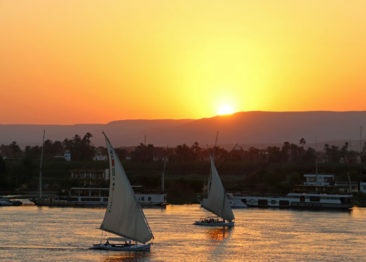 Looking for more places to visit near Egypt? Here are a few more posts to check out!